Now book Flight tickets on Flipkart and you will get flat 500 Rs off on Flight ticket booking of 500 Rs to 10000 Rs. Above flight ticket amount is above 10000 Rs, you will get 5% cashback up to 15000 Rs. 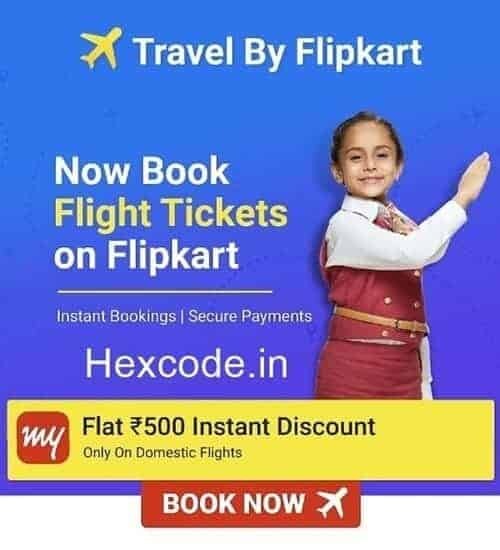 Flight tickets on Flipkart are powered by MakeMyTrip.com. This Flipkart flight offer is valid from 22 May 2018 to 27 June 2018. 500 Rs off on Flight ticket booking of 500 Rs to 10000 Rs. 5% up to 15000 Rs off on Flight ticket booking of 10000 Rs or more. 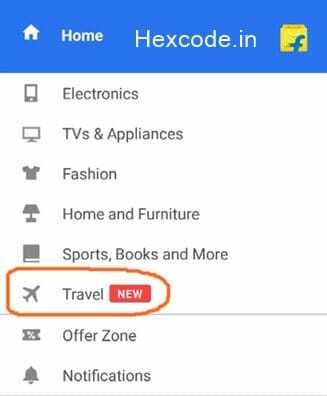 How to book Flight ticket on Flipkart? At Payment page, You will get 500 Rs discount automatically. Pay remaining amount via Debit/Credit Card or Netbanking.